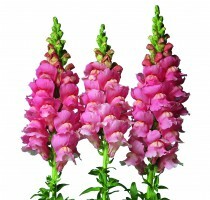 F1 Fair is an extra early flowering series for winter production. 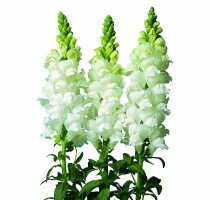 It has a heavy flower spike with tightly spaced florets and each floret is large. 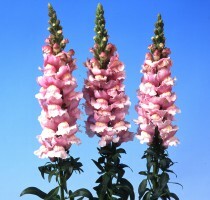 Best planted when it cools down to gain enough stem length. 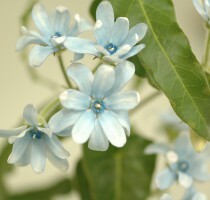 In warm conditions, it flowers short. 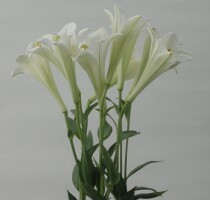 F1 Bridal series is early to intermediate flowering and also bred for quality flowers and good vase life. 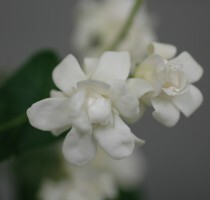 Bridal White No. 4 is an improved version for a better second flush. 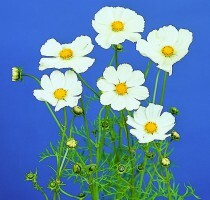 Hot series for sales from summer through late autumn. 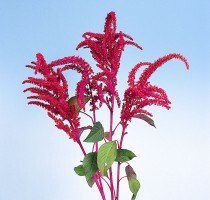 Amaranthus is originally from India and prefers warm and sunny conditions. 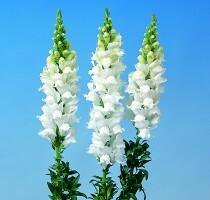 The crop is mainly for outdoor production. 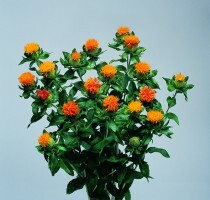 Energy saving crop for popular bouquet filler, arrangements and decorations. 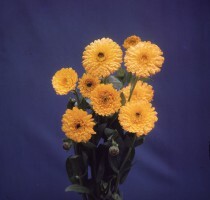 Full double Calendulas are for spring cut flowers. 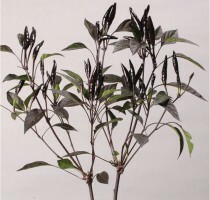 Black Ace produces long and thin fruits. Very impressive in a lustrous black. Fruits grow bunch at top. 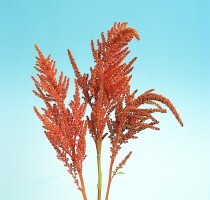 Carthamus tinctorius Orange Red has round shape leaves and bristles are retarded and easier to work with. Gold is approximately one (1) week slower than Orange Red but grows taller and has better volume. Mix of 55% blue, 20% pink, 10% red and 15% white. 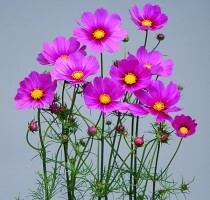 Early flowering selection. 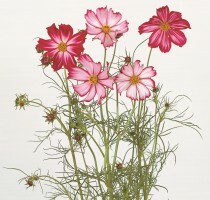 Cosmos is a short cropping product, 60-90 days from sowing to harvest. 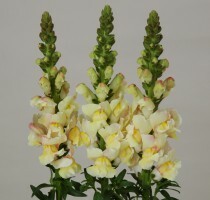 Versailes and Afternoon White are tetraploid and flowers are very large. 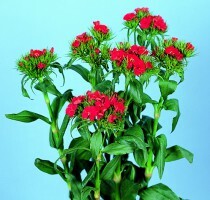 Flower inflorecense is very large and flower color is vivid scarlet red. 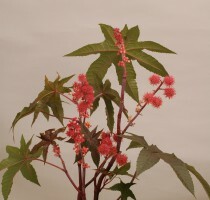 It is early and tall growing variety. 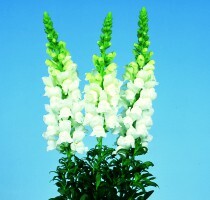 This variety needs vernalization for flower initiation. 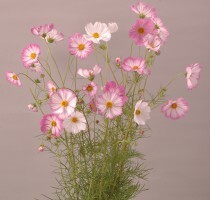 Lovely Pink has brighter pink color than other pink Didiscus. 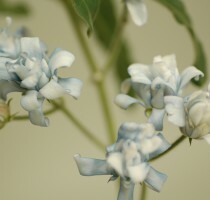 The color appears clearer especially under the cool condition. 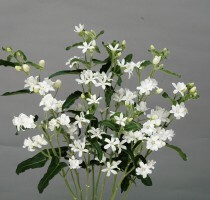 Long day flowering Didiscus needs lighting culture for winter production. 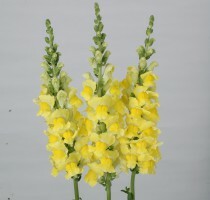 Lemonade is double variety with bright yellow color. 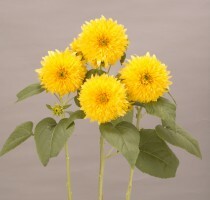 Double flower percentage is excellent without cropping loss. 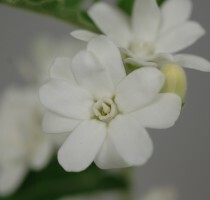 Flowering speed, it takes about 80 days from sowing to harvest. 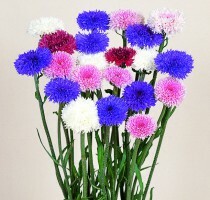 Candytuft flowers in spray form with 4-5 blooms of red, pink, violet or white. With heating and lighting, production continues throughout winter. Very good vase life. 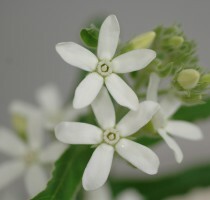 Flowering in uniform and the production loss is small. 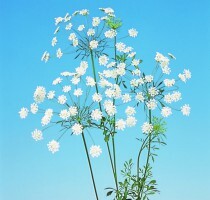 It flowers upward and produces a good number of flowers. 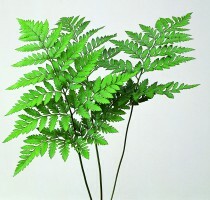 The leaves are thick, glossy and keep attractive deep color. 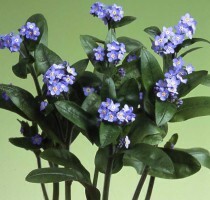 Myosotis is commonly known as a bedding plant. Nano grows slightly taller. 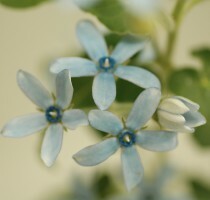 Its stems and flowers are thicker and bigger respectively. 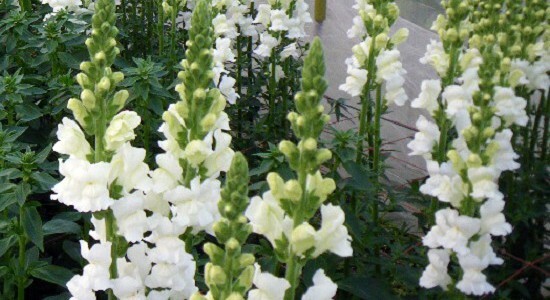 This variety can be forced for winter flowering with the usage of heating. Bright pink with yellow center with reddish purple ring. 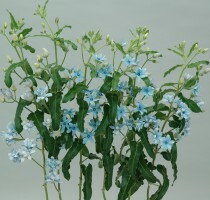 Unique flower arrangement material. Clear bright red Miyoshi selection. 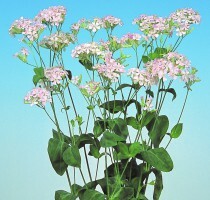 Mild has received the high appraisal because of a little number of spores and its excellent shiny leaves. 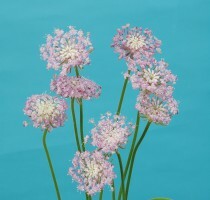 Small 1 cm across florets compose lovely 5 cm light pink clusters. Year round sales are possible with heating and lighting. 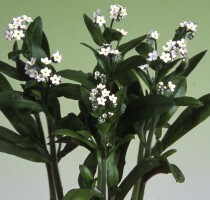 Tweedia is a half hardy perennial and can be grown for 2-3 years by avioding freezing in winter. 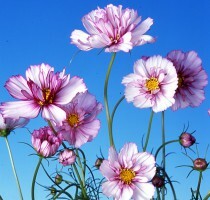 It continues to produce through winter with minimum temperature of 15℃. 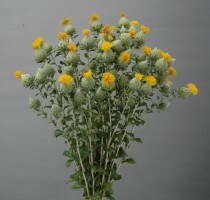 Excellent material for bouquets and flower decoration. 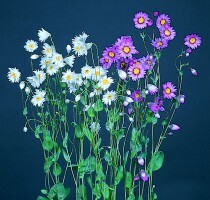 Approximately 50% semi double, 25% double and 25% single flowers appear from both Pint White Double Mix and Blue Double Mix.